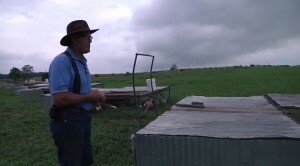 Internationally renowned natural health physician and Mercola.com founder, Dr. Joseph Mercola and Joel Salatin of Polyface Farm, show how chicken live on the Polyface Farm. Joel’s techniques grow healthy chickens and develop top soil in a balanced manner. Using a mix of chickens, cattle, pigs, and turkeys the technique has transformed his family’s land from a barren rocky plot to a robust pasture with over 8″ of perfect topsoil. His methods are scalable and can be implemented in everything from backyards to huge tracts of land. Previous PostAn Excellent Example of a Well Built Aquaponics SystemNext PostHow big of a backyard do you need to live off of the land?